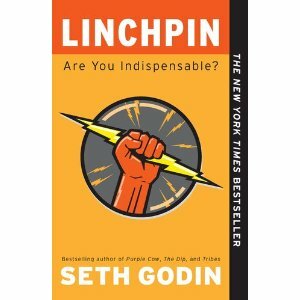 Linchpin is the most interesting reading I ever had. It is really an eye-opening and a great manual for understanding life and work dynamics. The first few chapters are really intense! The author questions a lot of concepts that we take for granted and stresses on the fact that we’ve been brainwashed to take directions and hence became dispensable and replaceable. However, this intensity might discourage people from reading the book as resistance kicks in. I believe the Author should have been less aggressive or at least gradual in questioning what average man takes for granted. Also a brief introduction about resistance would help. I have really enjoyed every single moment reading this great book. Though I believe some ideas are repeated of over emphasized. I highly recommend reading Linchpin for whoever wants his life and career to prosper.